New Delhi, Monday, 3rdApril, 2017: Sony India today announced the launch of its new Smartphone, Xperia XZs. Bundled with innovative offerings; this flagship device is integrated with the brand new Motion Eye Camera™ making the photography experience immensely creative. The Motion Eye camera is packed with World’s First Super Slow Motion video recording at 960 FPSin a smartphone and a unique capturing technique of Predictive Capture. 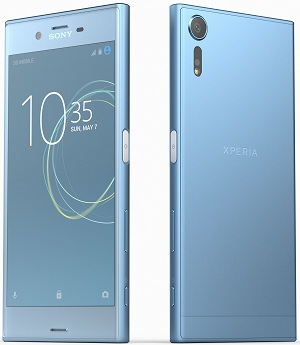 The Xperia XZs is the successor of Xperia XZ which was launched last year, with World’s First 5 Axis Image Stabilisation and triple imaging sensor technology. The New Xperia XZs comes with Motion Eye camera on top of the existing camera tech introduced with XZ series. This Motion Eye camera makes XZs camera capable of recording images at a Super Slow Motion of 960 Frames per second and makes your shots even more creative with the added unique technology of Predictive Capture. 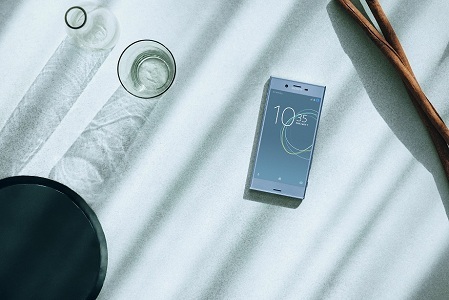 Designed for aesthetic perfection, new Xperia XZs is powered with the World’s first Motion Eye camera that comes with a built-in memory within an image sensor. This unique feature is capable of processing each image 5 times faster and improves low light images by reducing the noise by around 50%. This high-speed capture also allows you to click images without any distortion even when the objects are moving, making your smartphone camera fun to use. Sony’s new Xperia XZs can record videos in super slow motion at the recording speed of 960 frames per second. Using this unique feature, one can record videos 4X times slower than any other smartphone available in the market and dramatize each moment. The Super Slow motion video recording makes mundane moments of your life interesting and helps you capture the moments and expressions which you might otherwise have missed. This level of frame rate recording in videos is available so far only in professional cameras and high-end DSLRs. The predictive capture works by sensing the motion in the object frame and gets activated and captures 4 images of your object at different moments of time before or after the shutter click, hence offering an array of images for you to choose your perfect picture. So, even if you miss to click the right moment, you have it stored already using the Predictive Capture. The camera comes with a 19% bigger pixel size as compared to Xperia XZ which provides 19% brighter picture capturing more detail and light in every picture. Also, the faster scan rate due to memory stacked camera, reduces the noise in low-light images to around 50% and ensures photos taken in low light are exceptionally clear and vivid. The freedom to shoot low-light and low-contrast scenes have been remarkably boosted in Xperia XZs. 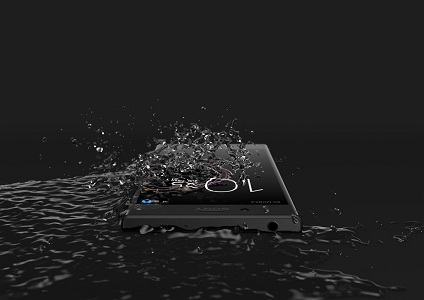 Xperia XZs is capable of withstanding the splashes that are part of our everyday life. Sony’s expertise in functional design is carried through to Xperia XZs with a water resistant design so that you can relax without worrying about sudden spills and unexpected showers. Merging sleek looks with an intelligent interface, the Xperia XZs’s design creates a natural relationship between you and your phone. Its loop surface is a pleasure to hold, with Sony’s exclusive ALKALEIDO™ metal adding depth, shine and brightness to the finish. It is an entirely new form of aluminium. 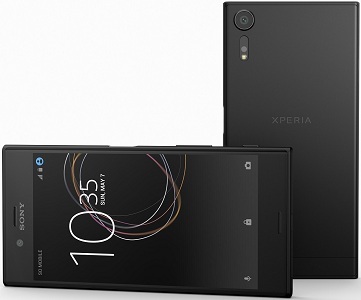 The Xperia XZ was the first time it was used in a smartphone. The latest Xperia XZs smartphone have a longer battery lifespan. Most batteries quickly decline in strength the more it is charged. But with the help of Qnovo Adaptive Charging and Battery Care, the smartphone battery will stay powerful for up to twice as long. Using Qnovo’s ground-breaking adaptive charging technology, we are able to constantly monitor battery conditions, adjusting the charging currents to minimise damage and maximise lifespan. The phone is mostly charged overnight, but if left plugged in after it’s fully charged, battery life degrades. Battery Care solves this by learning the user wake up time. It charges to 90%, pauses and then tops up to 100% to just before the user usual. Xperia XZs comes with quick charger, UCH-12, bundled with the phones as supplied accessory. With QC-3.0 charging the phone can be charged 60% in 45 minutes. Xperia XZs comes equipped with latest Type-C USB connector for faster data transfer and charging speeds. The latest and most updated version of Android OS is available out of the box in Xperia XZs. Xperia XZs is PS4 Remote Play enabled letting the gamers lose themselves in gameplay anywhere in the home. It lets the user get a full gaming experience away from the console. Game Control Mount GCM10 (optional accessory) is designed to hold the Xperia securely. Xperia XZs is capable of playing back Hi-Res Audio and the file formats supported are LPCM, FLAC, ALAC, DSD. Using Hi-Res headphones, the users can Play High-Resolution Audio tracks on the Xperia XZs smartphone and get closer to the clarity of an original recording. With High-res audio, customers can hear every intake of breath and every pluck of the guitar string. Warm silver has tinted nuanced tone with warmness such as non-bleach silk satin. There will be a limited period pre-booking offer from 4th April – 10th April, 2017. As part of this offer, customers can avail for freeSRS-XB10 Wireless Bluetooth Speaker worth Rs. 4,990/-. Xperia XZs will be available across all Sony Center and major electronic stores across India. **Xperia XZs is water resistant and protected against dust, so don’t worry if you get caught in the rain or want to wash off dirt under the faucet water, but remember all ports and attached covers should be firmly closed. You should not put the device completely underwater; or expose it to seawater, salt water, chlorinated water, or liquids such as drinks. Abuse and improper use of device will invalidate warranty. The device has been tested under Ingress Protection rating IP65/68. For more info, see www.sonymobile.com/waterresistant. Note the Xperia XZ has a capless USB port to connect and charge. The USB port must be completely dry before charging. TP-Link Awarded As Most Innovative Mobile Accessories Of The Year.